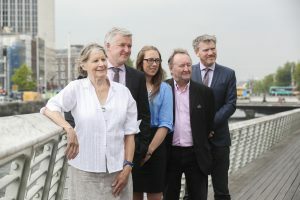 The Irish Council for Civil Liberties (ICCL), along with a coalition of other leading civil society organisations, this morning held a press conference to mark the adoption of a landmark Irish-led resolution on the importance of civil society space by the UN Human Rights Council. Welcoming Ireland’s leadership on this issue at the UN, the ICCL also called on the Irish government to practice at home what its Department of Foreign Affairs and Trade (DFAT) is preaching abroad. While Ireland is a leader in defending civil society internationally, civil society at home faces increasing difficulties relating to our poorly drafted electoral laws. 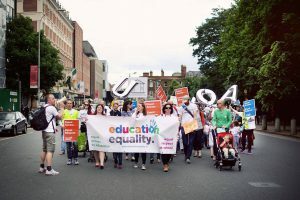 Small non-governmental organisations such as Education Equality, for example, have been forced to return part of their seed funding due to restrictive legislation on funding. This is due to an overly broad definition of “political purposes” in section 22 of the Electoral Act 1997 as amended, which falls to the Standards in Public Office Commission (SIPOC) to enforce. 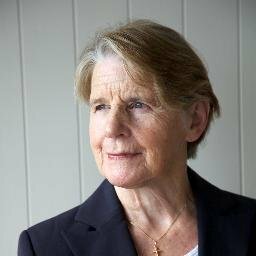 “As leading Irish civil society organisations, we are strongly supportive of the role Ireland is playing internationally, speaking up for our colleagues facing oppressive laws and crackdowns on civic space around the world. 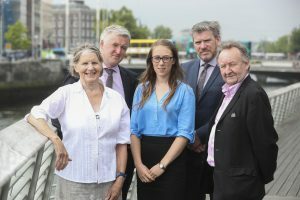 Unfortunately, however, civil society in Ireland is also currently facing some of the threats which the DFAT is specifically concerned about abroad. The UN resolution calls attention to the fact that restrictions on funding for civil society actors undermine the right to freedom of association and calls on states to ensure they are in compliance with their international commitments on this front. But those exact kinds of restrictions are in place here”. “The importance of civil society for democracy cannot be underestimated. Many Irish people dedicate themselves, including in their free time, to the betterment of society for all. These people often witness the injustices in our society or corruption in our political systems and take it upon themselves to advocate for change. This is very different to political work and must be protected in ways that are different to how we regulate the political system”. 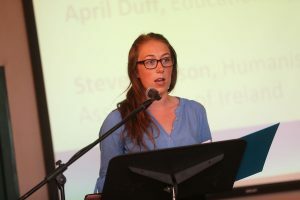 “Given Irish Aid’s support of many civil society actors carrying out work abroad which Sipoc would likely deem to be political, it is high time that reform of these provisions take place so that Ireland is applying the same rules at home as abroad”. Members of the CSO coalition also present at today’s press conference: Front Line Defenders, Transparency International Ireland, The Wheel and Uplift.